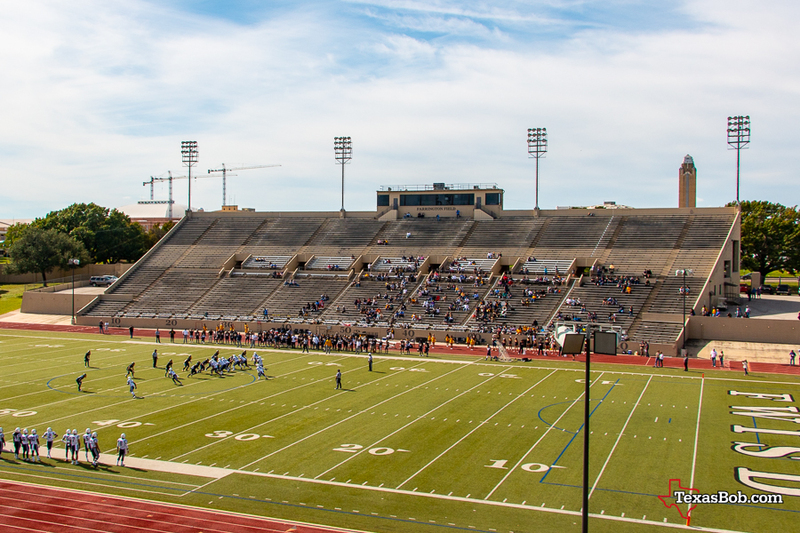 Farrington Field is an 18,500-capacity large multi-use stadium in Fort Worth, Texas. 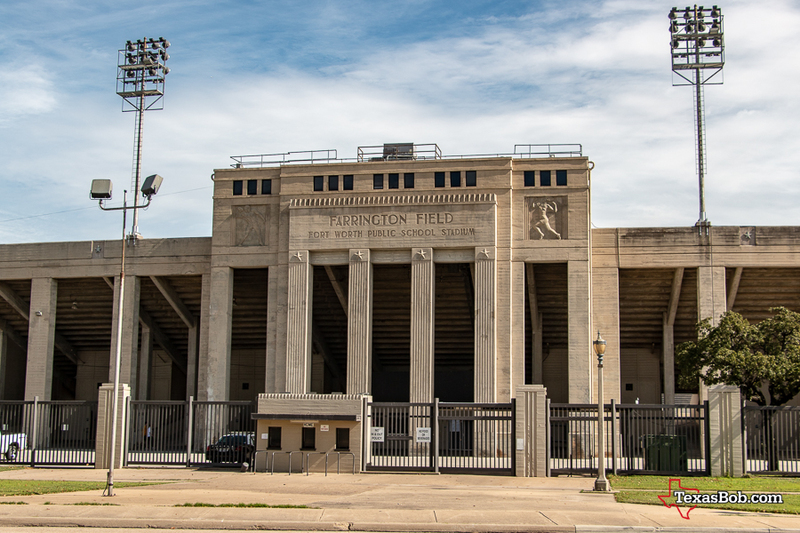 It was constructed in 1938-1939 by the Work Progress Administration (WPA) and designed by Arthur George King and Everett L. Frazier from the architecture firm of Preston M. Geren. Evaline Sellors did the bas relief sculptures of the football player and the track and field athlete. General Construction Co. of Fort Worth was the contractor. The facility is Art Deco styled and was named in memory of E.S. Farrington, a long-time superintendent of the Fort Worth Independent School District. 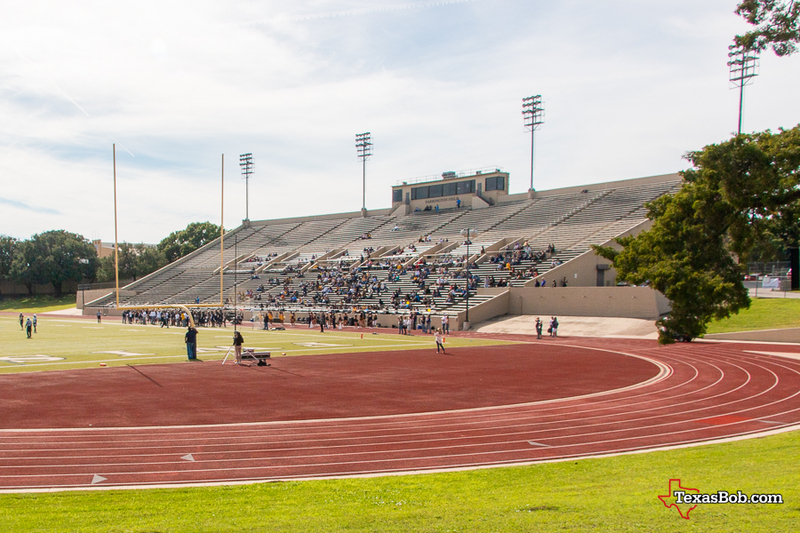 The west grandstand facade fronting on University Drive features a monumental central bay. The columns are fluted, and the capitals have stars on them. There are also panels that depict athletes. Additional Art Deco detailing can be found in the ticket booths and on the concrete piers of the decorative fence that encircle the facility. 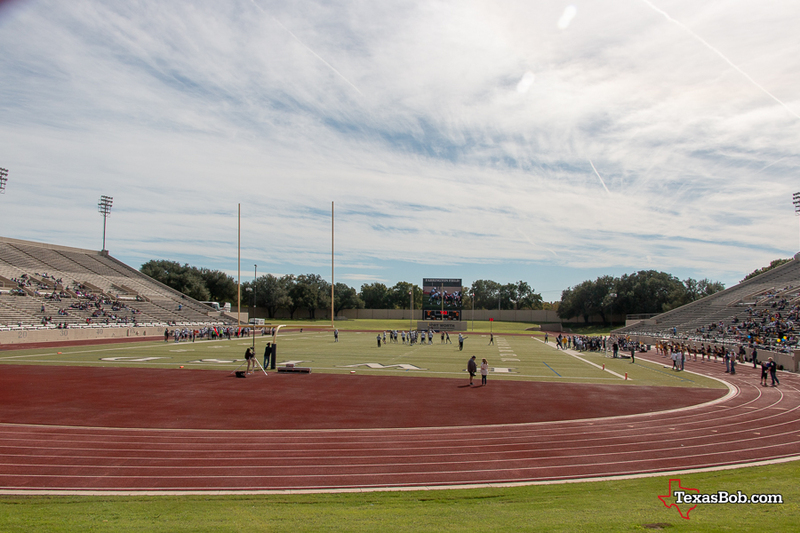 The construction was completed and the facility opened November 3rd, 1939. The cost for the facility was $400,000 USD.